The Glass Castle will be the third class in our bestselling memoir series, following Wild and Eat, Pray, Love. Tuesdays, April 22-May 13, 2014, from 4-5pm PT/7-8pm ET. • Writing scene as memories. • How to write trauma, and through trauma and difficult memories. • What it means to write dispassionately, and why it’s important. • An exploration of truth and how the reader perceives the truth. • The difference between scene and vignette. • How Jeannette Walls got away with writing a book of vignettes—the secret is in the narrative arc. • The consequences of pulling the reader out of the fictive dream. 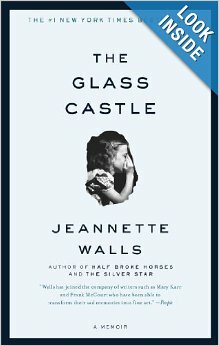 • How Jeannette Walls handles both voices. • Showing the issues of the family through different narrative voices. • “Showing” versus “telling,” and how it’s especially important when dealing with trauma and hard or negative memories. • The power of showing through the child’s perspective—and how to make this work. • Why Jeannette Walls’s themes made her book a bestseller. • The power of metaphor to drive a theme home. • Why universal themes strike a nerve and how to pay attention to your themes. • Why “through-threads” are part of the equation, and how to integrate through-threads into your own memoir.